Even though the calendar and the weather is giving us all whiplash, it is, after all, Ice Cream Season! We have done expansive tasting all around New England searching for superior places to get these cool treats. Some locations we simply adore because of their longevity, kind of like, taking a trip to grandma's house. And some locations had an organic yet sophisticated appeal utilizing the finest local ingredients. No matter your northeast destination, use our handy guide on where to score gastronomic happiness like a boss! By keeping their batches of ice cream small, each scoop and each pint is different from the next. Here is a sampling of their Classic Flavors, can you only imagine what their specialty flavors must consist of? Milk Chocolate Stracciatella, Malted Vanilla, Salted Caramel Crackle, Honey & Oats, Coffee Toffee. 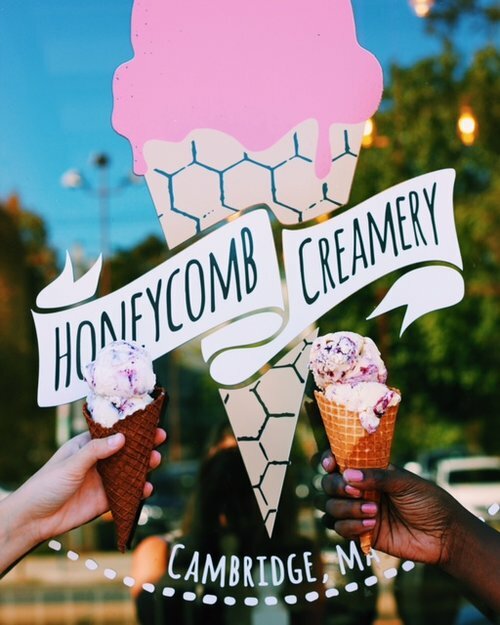 Honeycomb Creamery offers something for everyone from taste inspiring Vegan recipes to pastries and house made waffle cones, and we have to mention their expertly crafted coffee drinks and frappes. 1702 Massachusetts Ave. Cambridge, Massachusetts. 2. Four Seas - A family favorite of ours for many generations. Diners can take a cone to go or sit on stools at the counter in the dining room enjoying old-fashioned ice cream sundaes, sodas, frappes (the New England word for “milkshake”- a real milkshake is just milk with syrup, shaken) and other sweet treats. Four Seas specializes in flavors that harken back to the good old days but are just as delicious as ever – and they’re always made with the freshest ingredients and local fruits. For decades, they have been serving the Cape’s favorite flavors like fresh peach, black raspberry, cookie dough, peanut butter chocolate chip and coffee, as well as a few they originated, such as chip chocolate – created with melted chocolate that solidifies when it hits the frozen ice cream – and penuche pecan, an old-fashioned brown sugar flavor based on a special New England recipe. They also serve homemade sandwiches including their extremely popular lobster salad sandwich. 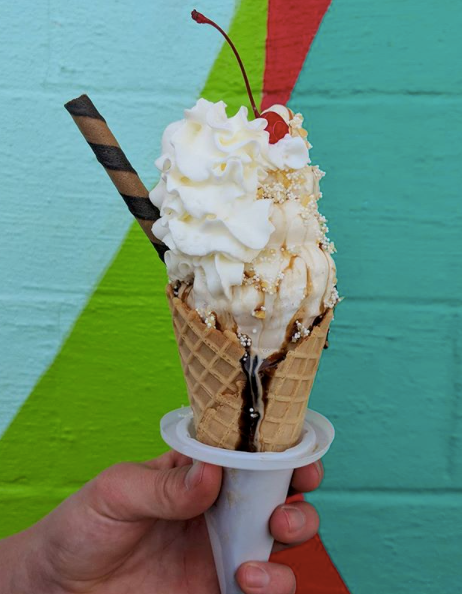 Four Seas has been winning national and local competitions for decades, and has been named in the top ten ice creams in the country by several national publications. It's no wonder why the Kennedy's frequented this local favorite. 360 South Main Street, Centerville Massachusetts. 3. Walpole Creamery - For this cow to cone treat, the milk and maple syrup is sourced from nearby farms. One of their most famous flavors, Real Maple Walnut, was featured in Yankee Magazine Where to Eat, Stay and Play issue. Proud to be named among the Best of New England super scoops! “From Cow to Cone” What does it mean? More than a slogan, this is what makes their ice cream truly unique. Walpole Creamery crafts its own proprietary Sweet Cream base mix using only fresh, hormone and antibiotic-free milk from Elm Island right in Walpole, NH, and fresh, hormone and antibiotic-free cream from Vermont. Their 100% pure New Hampshire maple syrup comes from Twin Spruce Farm also in Walpole. Using only natural flavors and ingredients, Walpole is classified as an all-natural product in Whole Foods stores. Their Super Premium ice cream also qualifies for the Vermont Non-GMO Standards. The Walpole Parlor, 532 Main Street on Route 12 next to the Walpole Wash N Dry. Keene Café 149 Main Street Keene, New Hampshire. 4. Bedford Farms - Since 1880 - Does longevity and history have a taste? We think so! 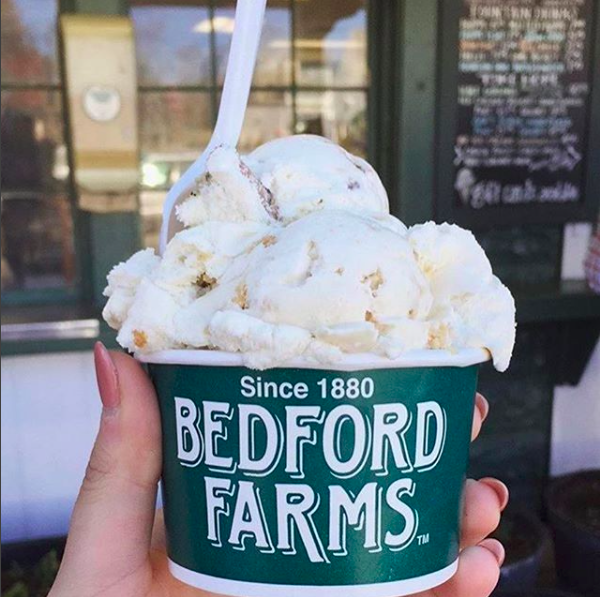 Located in historic New England towns - Bedford, Burlington and Concord, Massachusetts - Bedford Farms offers over 60 flavors of fresh made, locally sourced ice cream, frozen yogurt and soft serve. Enjoy your scoops knowing that your great grandparents most likely enjoyed the same exact recipe. Something this time tested and tried and true, must be doing something right! 18 North Road, Bedford, 19 Third Avenue, Burlington, 68 Thoreau Street, Concord, Massachusetts. 5. Milk Craft CT - Famous for their proprietory (and totally rad) Bubblecone, Milk Craft also offers other vessels to house your scoops such as the Creameebun, and Scoops 1,2,3. All their flavors are from the best local ingredients and all natural whenever possible. Milkcraft small batch creamery began with an inspiration from a stroll down a via in Capri, Italy. 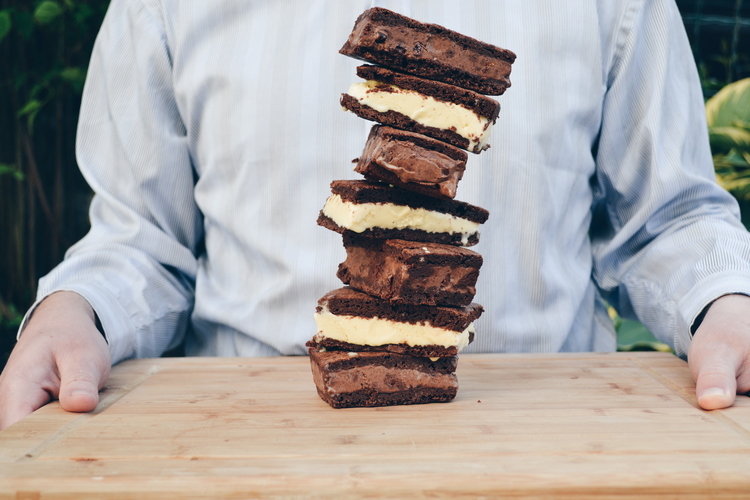 Their goal has been to create ice cream from scratch and express their passion for artisinal flavors. "It is very important to us to develop relationships with local farmers in pursuit of the purest all natural ingredients." They freeze every scoop to order with food grade Liquid Nitrogen, which creates smaller ice crystals when freezing, and results in the smoothest possible ice cream. 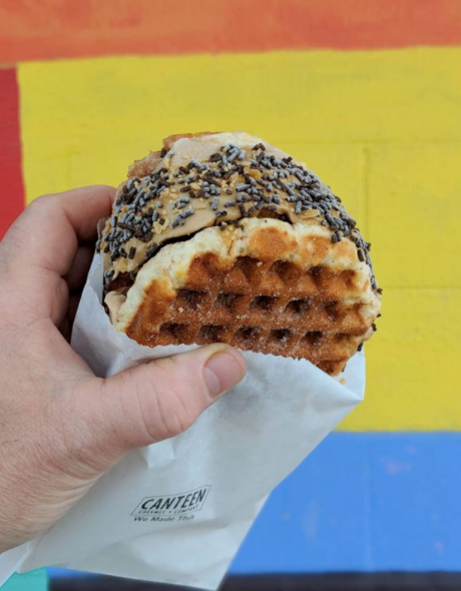 Their caramelized HONG KONG style waffles are made from scratch to order, and hot CREAMEE buns are made fresh daily, along with artisan toppings. Two locations 1215 Post Rd, Fairfield, Connecticut, 967 Farmington Ave, West Hartford, Connecticut. 7. 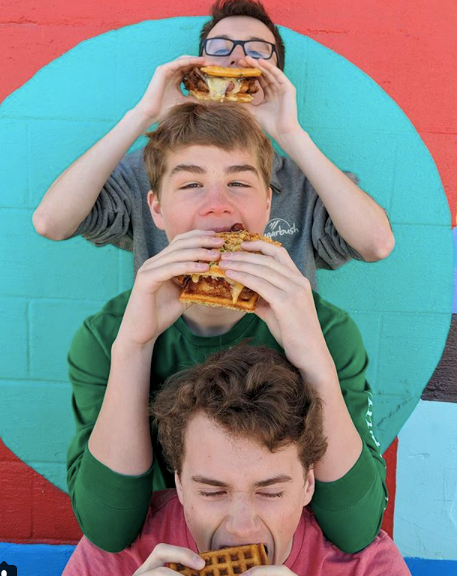 Canteen is a locally owned and operated modern snack bar "take out" joint that specializes in fried chicken and creemees but they also do so much more. Local, wholesome, creative and prepared in house. 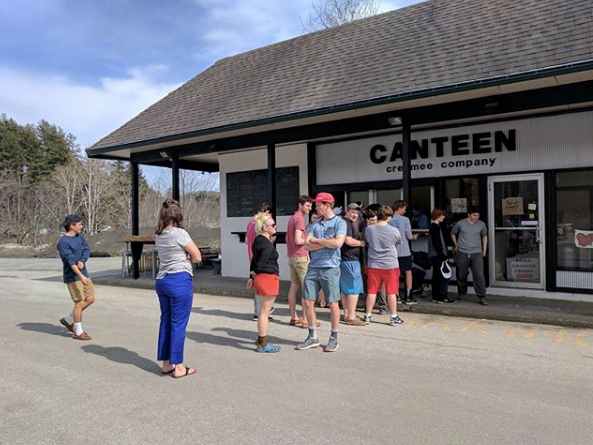 Canteen is located in the Village Square Shopping Center, Waitsfield near Mehuron's -Just a few minutes from Sugarbush Resort. Wildly known for their signature Vermont Soft Serve, to take a video glimpse inside this hip stand click here. 5121 Main Street, Waitsfield, Vermont. 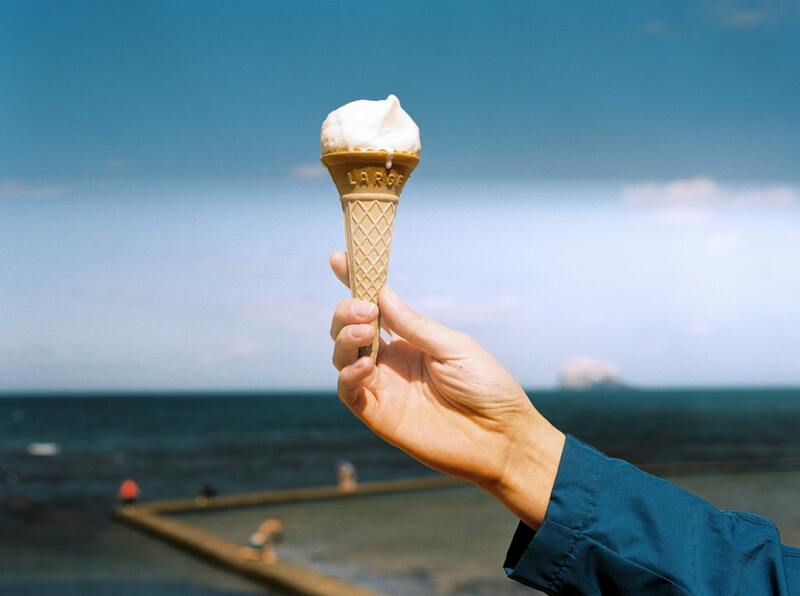 If you think it's perfectly normal to plan a road trip solely based around ice cream, then you are our kind of people! Here at New England & Me, we believe life is a lot like ice cream, enjoy it before it melts!